Many rookie screenwriters, especially those making the transition from novels, believe that they need to give their characters emotional “depth.” They believe that giving characters complex and conflicting emotions is they key to creating a memorable and successful screenplay. The new Pixar movie Inside Out knocks out that idea faster than Ronda Rousey does to her opponents. Each primary character portrays – literally- a single emotion. 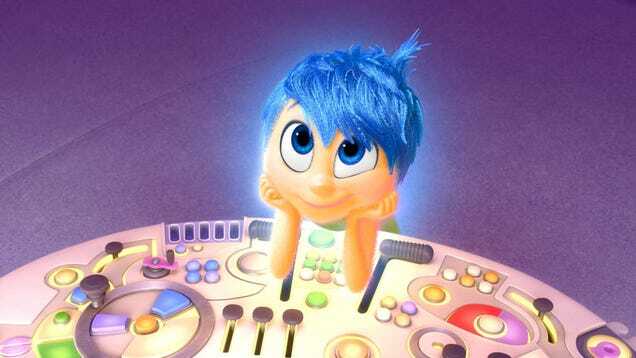 Although the animation is 3-D, the characters are emotionally one-dimensional. 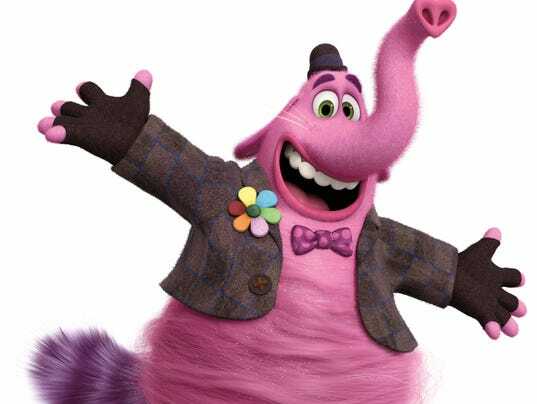 The script, written by Pete Docter and Ronnie Del Carmen, shows that characters don't need a great deal of emotional depth if they have strong enough desires. One of the problems with investing a character in a screenplay with emotional depth comes from the limited space and time you have to tell your character's story. A standard feature screenplay should come in between 90 and 100 pages. Some readers and producers will check to see how long the script is before they even read it, so you don't have pages to waste on how the character feels about every aspect of her life. In only 94 minutes, Inside Out told a powerful story, with memorable characters and impactful moments, so make every line count. When you instill a desire in a character, the nature of that desire will reveal the character's emotional depth, without the need for lengthy monologues or boring exposition. 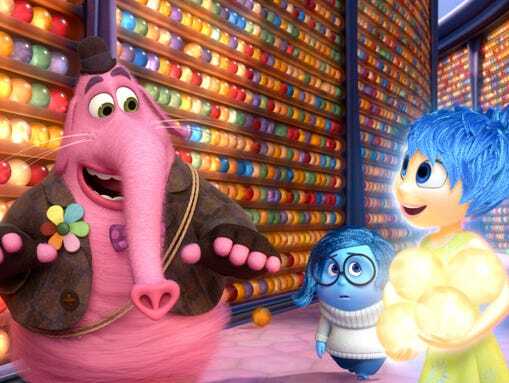 In Inside Out, Joy's main desire is to get back to HeadQuarters and take back control of Riley's emotions. Sadness' primary goal is to be part of the team, despite Joy's efforts to exclude her. Bing Bong, Riley's childhood imaginary friend, wants to reunite with Riley and pick up where their relationship left off. In an earlier post, I discussed the VOTE outline. When it comes to finding a character's strongest desire, the Victory and Energy go hand-in-hand. The Victory is always a concrete goal or aspiration, while the Energy provides the emotional fuel that drives the pursuit of that Victory. For Joy, the Victory is to get back to HeadQuarters, while her need to keep Riley happy provides the Energy. For Sadness, the Victory is helping both her and Joy get back to HQ, with her need to feel relevant and contribute to Riley's emotional balance gives her Energy. The pursuit of any goal forces the character into changing their actions, beliefs and attitudes. If you've ever studied for a test, tried to lose weight, or attempted to overcome a crippling fear, you understand that the pursuit of those goals forces you to change. Sadness' desire to feel relevant causes her to reach out to the despondent Bing Bong, which helps her realize her potential for the first time. Joy's attempts to leave the Memory Dump, and the loss of Bing Bong, bring about her change from perpetually happy to strong and determined. The most effective way to create emotional depth for your characters in such a limited space comes from having them take actions that push them well outside their comfort zones. The time-worn writing cliches of “show, don't tell” and “actions speak louder than words”, while annoying, are also highly useful. If you want to show the depths of a character's emotions, show how far they're willing to go (or how low they're willing to sink) to achieve their heart's desire. If your heart's desire is to write a killer screenplay, you don't need to go to the same extreme lengths to which you'll push your characters. Just send an email to storyintoscreenplayblog(at)gmail(dot)com with the subject “Loyal Reader Discount” for a FREE one-hour consulting session. During this session, we will discuss your screenwriting background, education, accomplishments and goals. I'll share with you my approach to screenwriting, which focuses on creating memorable characters that producers will want to read, actors will want to portray, and audiences will want to see. After your free session, you'll also qualify for continuing sessions at a 20 percent discount. The standard rate for screenwriting consulting sessions is $50 per hour, but new clients who sign up before August 31 can receive ongoing consulting sessions for $40 per hour. You MUST schedule a paid session before August 31 to qualify for the reduced rate. You can also “Like” the Story Into Screenplay Facebook page, follow @storyintoscreen on Twitter, check out the YouTube channel as well as the soon-to-be-growing filmography. If you want to read about the adventures of another working screenwriter, check out Paul Zeidman's blog at Maximum Z. Drop us a line at storyintoscreenplayblog(at)gmail(dot)com if you have any questions. You can also sign up for your FREE initial consulting session with the subject “Loyal Reader Discount”.